Asa and I have been driving across the country since March 1st, and about a month and a half later, we’ve covered a lot of ground. I’m writing this at the 4H Center RV Park in Evansville, Indiana. In the time between a month before we set off and now, I’ve noticed something interesting with robocalls, spam, and junk mail. 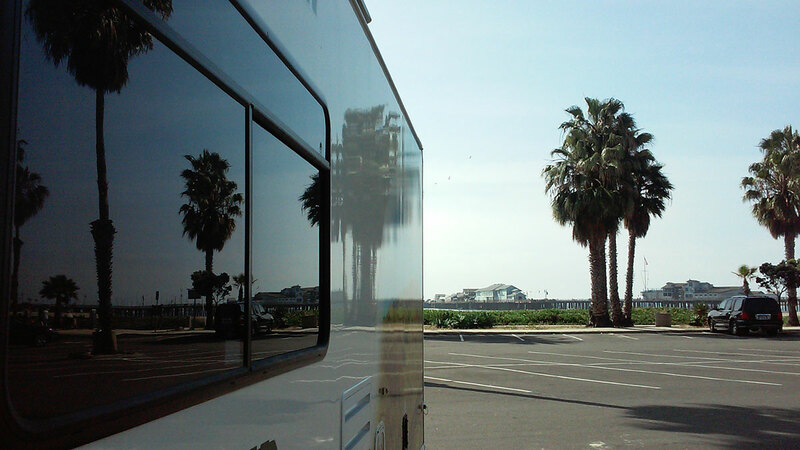 Before setting off, we were doing our research on RV’s, rentals, campgrounds, prices, etc. All of this research was done over the internet. So, about 2 into February, I started getting physical junk mail at my apartment to join the AARP (American Association for Retired Persons). What’s kind of scary about this is that at no point in time did I ever enter my physical mailing address into any website. I had adblock on all my browsers, I regularly block IP addresses for tens of thousands of known ad services, and I have opted out of ads. Somehow, though, they were able to relate my IP address to my physical address in order to start sending me junk mail. If anyone thinks that you’re anonymous on the internet, guess again. Your every move and thought is not only being tracked, but sold to someone. Another scary thing is that I’ve noticed that I get robocalls with zip codes for the city we were just in a day or so ago. For example, I got robocalls from the 480 area code (Arizona) when we were in Durango, Co; I got robocalls from the 442 area code (San Diego County) when we were in Tempe, Arizona; calls from the 510 area code (Oakland) in Santa Barbara; and recently calls from the 218 and 812 area codes (Minnesota and Indiana respectively) as we were going through Kansas and Illinois, respectively. It’s no coincidence that we’re getting unsolicited spam robocalls as we go from city to city. Not only is it annoying, it’s also very illegal. So the million dollar question is: How are these operations getting my phone number, and how are they deciding which phone number to spoof? My assumption is that if you get a call from an unknown number, you’d be more likely to answer if it’s from a local area code. So how do they know where we are, where we’ve been, and (as it looks like) where we’re likely to go? Good thing I screen my calls.